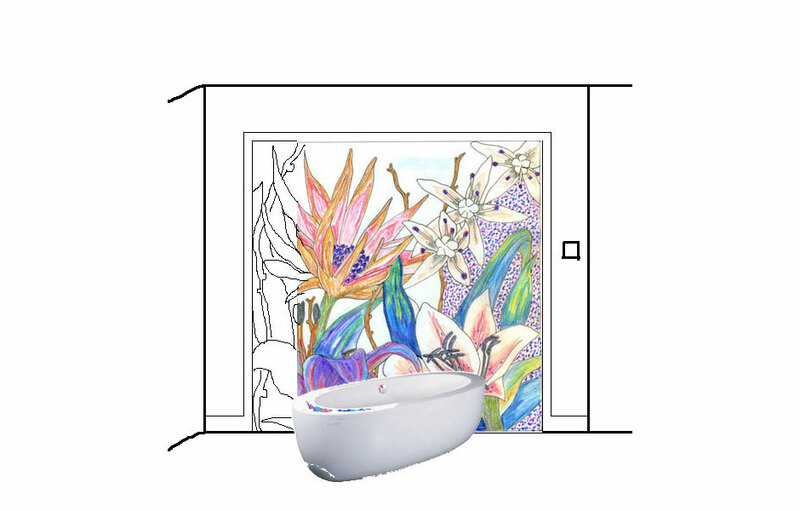 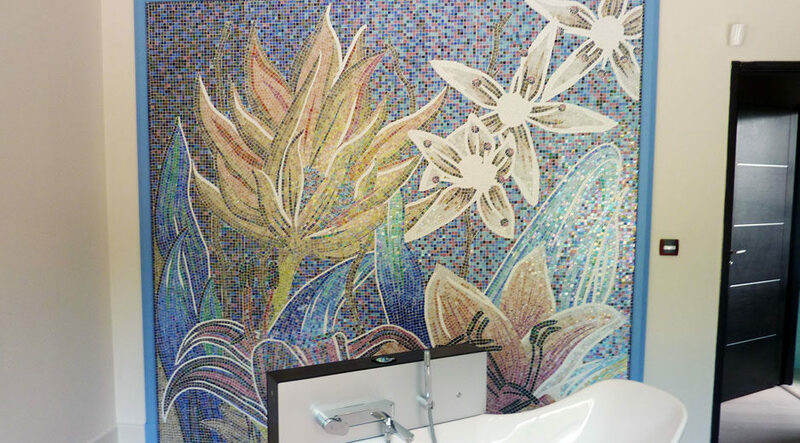 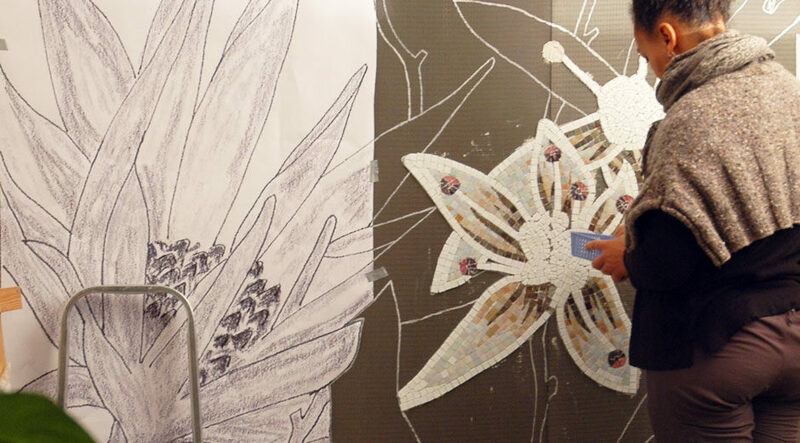 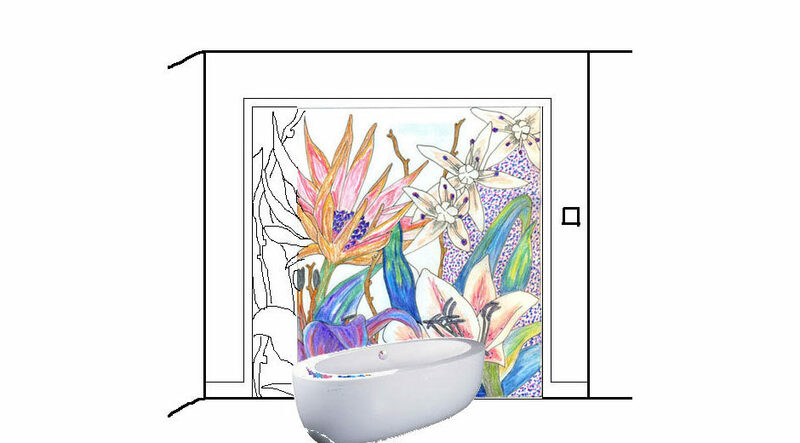 Creation of a mosaic artwork in a modern figurative style, with colourful iridescent glass mosaic. 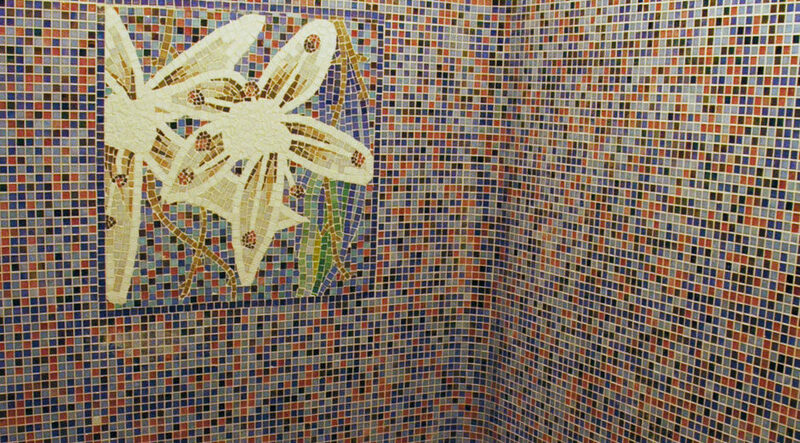 Unique custom mosaic artwork created for the decoration of a bathroom and installed in situ by the mosaic studio in Marseilles (France). 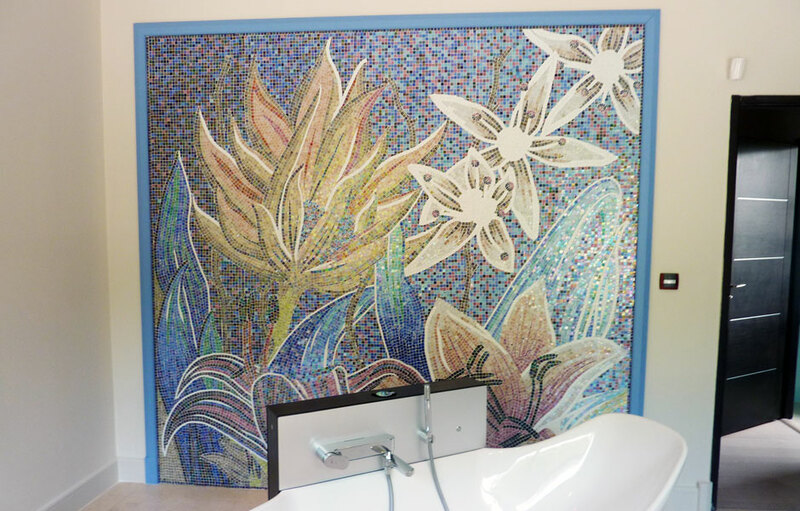 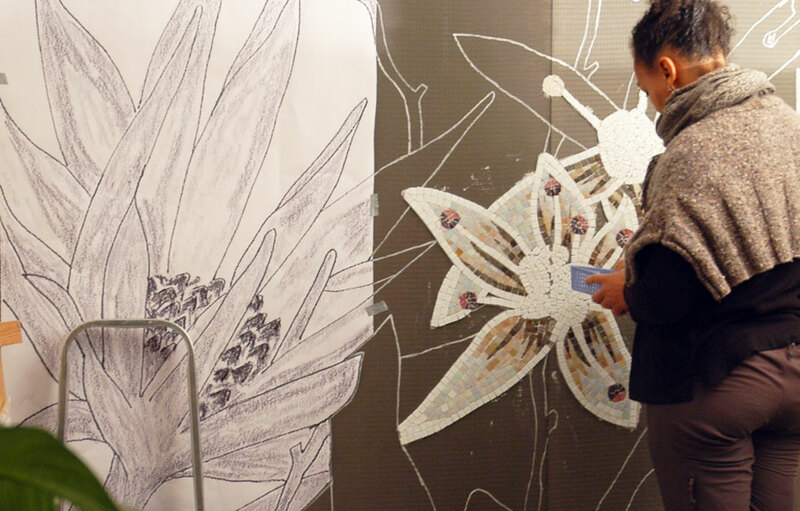 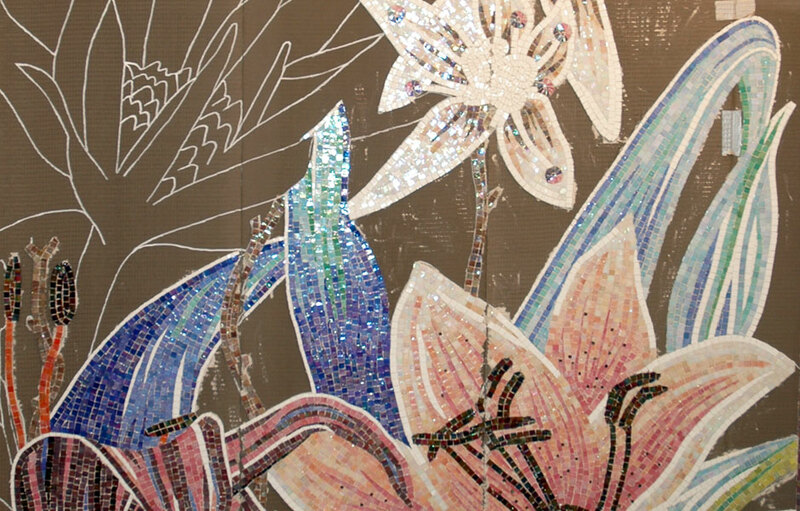 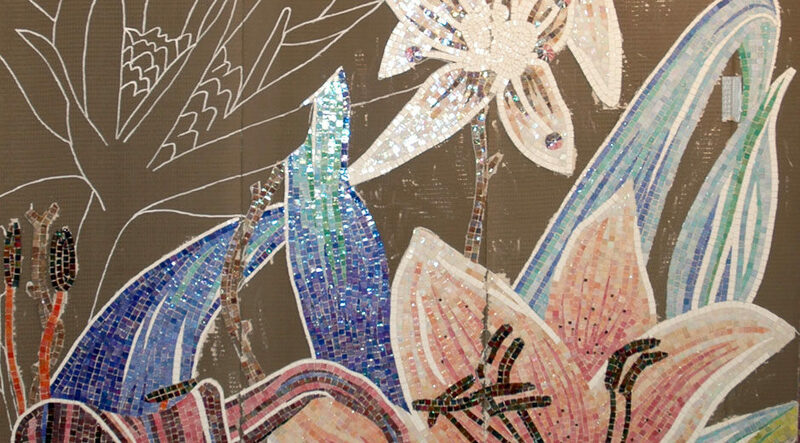 Mosaic creation on several extruded polystyrene foam panels with iridescent glass mosaic. 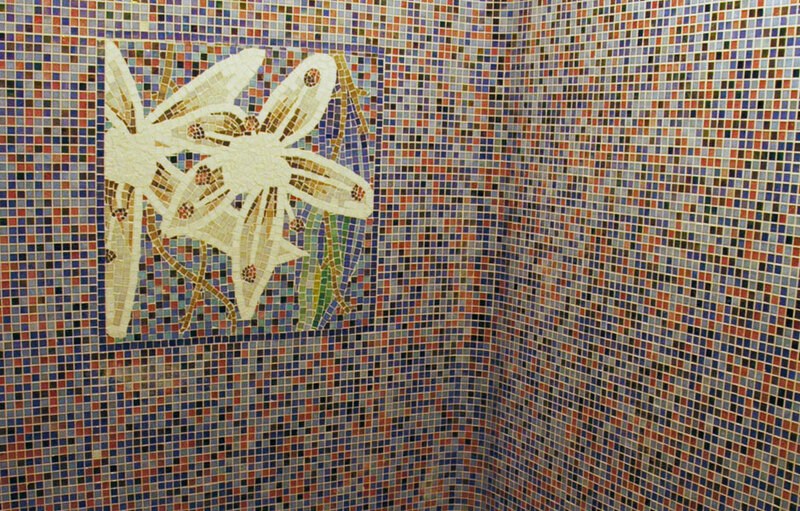 Tesseraes cut with mosaic cutting pliers.